Yesterday, I posted the first part of my Anthropologie wishlist and the first in a series of pipe-dream birthday wishlists. Without further ado, here's the second part. Enjoy! 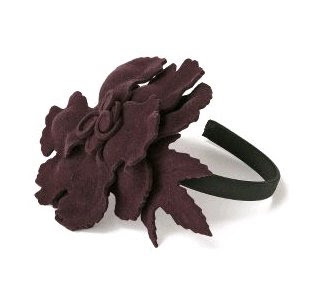 Midnight Freesia headband, $41.61. On closer inspection, this headband seems a lot less Blair Waldorf-inspired and a lot more like some odd fungal growth you'd find in a temperate rainforest. Oh well, I love it anyway. Museum-of-Modern-Birds dress, $268.64. I'm attracted to a skirt that looks like an Impressionist painting and shoes with sequined palm trees or playing cards on them, so why not a sweater dress with swans? I can't stop staring at the whimsical hemline. Paige Premium Denim 'Hidden Hills Barcelona' jeans, $192.81. These jeans epitomize everything I look for in my denim: dark wash, basic trouser styling, and a flattering bootcut. I also like the sharp crease lines in the front. Playing-Dress-Up blouse, $84.49. Plaid is a huge trend this fall--but then again, when was it ever not trendy? 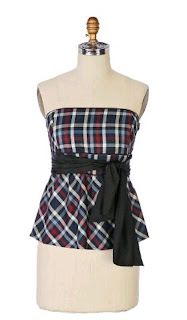 I'm very picky about the size and colour of tartan prints, so it's a miracle that this strapless top made the cut. I'd layer it over a white V-neck tee for a demure daytime look. 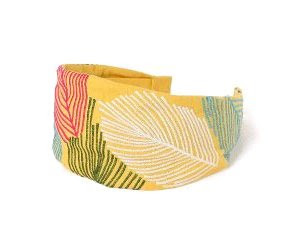 Venation headband, $21.61. Another headband makes the wishlist. If the last one looked like fungus, this one looks a bit like neon-coloured palm fronds. 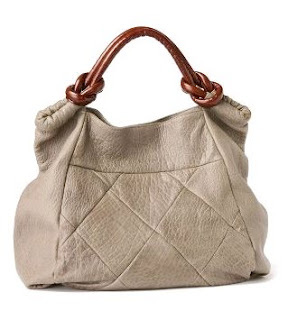 Quilted Corona bag, $485.29. The leather has a lovely finish and the perfect balance of structure, softness, and slouchiness. With the large quilting pattern on the front, it could very well be the Chanel 2.55 purse's boho cousin. ah i could live in a wardrobe from anthroplogie (& their house decor is amazing as well). i looove both of those headbands! i loveee both of those headbands! Oh how I wish I could afford Anthropologie! that swan dress is breathtaking! might need to try a diy on that... great picks! Have you ordered from Anthropologie before? Are there any unexpected charges when the package arrives? How is the fit for a petite person (I assume you're petite, I may be wrong!). I definitely want to order from there but after recently being burned by Bluefly I'm a bit worried. Em, I honestly have no idea as I've never ordered from Anthropologie myself and only drooled over the stuff on the website. Anyone else out there who can help? If you order from there and it goes well, let me know! Petite just means under 5'4.